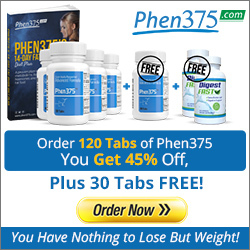 Looking for information on removing toxins from your body? A natural detox diet is a healthy, balanced way to feed your body wholesome nutrition while also giving it support to cleanse toxins. With our modern lifestyles, we unfortunately make less than ideal food choices and get toxic chemical exposure from our water, air, food, personal care products and our overall environment. Because of this reality, our body’s ability to detox all these toxins can be strained and overwhelmed. Making the conscious decision to nurture your body and give it supportive maintenance with a natural detox diet and other natural methods is very important. I recently interviewed, detox specialist and former nurse, Sandy Halliday. At one point in her life, Sandy suffered with severe fatigue, which doctors were unable to help her overcome. This experience motivated Sandy to leave nursing and on to study nutritional and alternative therapies. As a part of her own search for better health, Sandy discovered natural detox diet therapies and recovered from her debilitating fatigue. She has spent that last 20 years sharing and helping others with her natural health knowledge. Sandy has written, an in-depth eBook on natural detox diet methods, The Definitive Detox Diet. Enjoy the great insights I received from natural remedies expert, Sandy Halliday, and check out her eBook and blog. Kelly: Hi Sandy! Part of your professional qualifications are as a certified nurse and a detox specialist. How did you come into these fields of work? Sandy: I was very interested in human biology at school. I was ( and still am) fascinated by how the body works. I originally thought I would like to study medicine but was put off by my teachers. In those days, it was hard to get into medical school so there were very few women medical students. Hard to believe these days but it was true. Back then ( makes me sound very ancient doesn’t it?) women did not have careers. So, I decided to train to be a nurse instead. My interest in detox came a lot later, mainly because of some health problems I had. The more I researched about my condition the more I came to realize that detox was probably a very important step in getting my health back. I experimented with a lot of different types of detox and saw a huge improvement in my health. I developed a huge thirst for deeper knowledge and took several naturopathic nutrition courses. I was so interested in detox at that stage that I wrote a dissertation on detoxification for the 3 year nutrition diploma course. When I set up in practice I found than clients who were willing to follow a detox program had better results more quickly that clients who did not want to go that route. Kelly: What has each of these fields taught you about health? Sandy: Being a nurse was quite an eye opener for me. I discovered just how complicated the human body is. I learned that drugs do not cure. They did of course help to save lives but they only block a reaction that is causing a symptom. In doing that the drug often causes another symptom which needs another drug. That did not make a lot of sense to me and fuelled my interest in nutritional biochemistry. My own experience with detox taught me that there are a lot of things we can do ourselves to improve our own health by working with the body – giving it what it needs and taking away the things that it doesn’t. I also learned that nutritional tests can reveal a lot about your body that standard medical tests do not. Kelly: I know from brief conversations with you that you overcame health challenges. Are you open to sharing with us about this part of your life? Sandy: Yes, of course. After a particularly emotionally and physically draining time in my life I started to suffer with crippling migraines, I also picked up a lot of gastro-intestinal infections and suffered with intestinal Candida overgrowth. Eventually I became chronically fatigued. I had the Epstein Barr virus but did not know it at the time. Tests only revealed that some years later. My doctor admitted that he did not know what was wrong with me. I had several tests that did not reveal anything abnormal. He suggested that I did not drink alcohol nor eat spicy food. I then turned to Alternative Medicine to finally learn a lot about what was going on in my body. I found it fascinating. Kelly: For someone that is new to detoxing the body, what does it mean to detox? Sandy: The body has a very sophisticated system, the detox system, which it uses to get rid of substances that if allowed to build up in the body would cause damage to the cells. They are called toxins. These toxins can be produced in the body by normal metabolism and are no longer needed and toxins that get into the body from outside – from food, water, air and things that are applied to the skin. 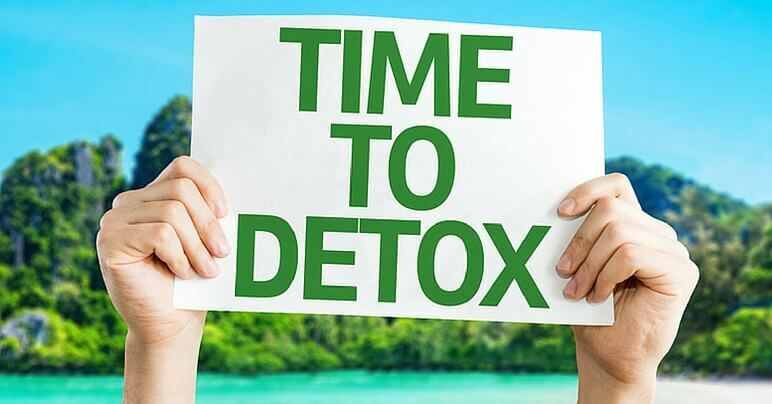 With all the chemicals that we are subjected to these days the detox system gets overloaded or does not work properly due to lack of certain nutrients, genetic or lifestyle factors. The toxins can build up and cause various little niggling or more severe symptoms. Detox is a way of helping or supporting the detox system to get rid of these toxins. Kelly: You’ve written a very in-depth eBook about detoxing the body with natural detox diet methods. Please share with us some of the main topics you address in this book. Sandy: I address bowel cleansing, yeast and bacterial overgrowth and leaky gut. I go into liver detox and the liver/gallbladder flush, acid/alkaline balance, thyroid function and detox. I discuss juice fasting, the use of nutritional supplements for detox, aids to detox, detox reactions and of course the detox diet. I give three different detox plans which allows people to choose a plan to suit their lifestlyes and the time they have available for it. I include a lot of other relevant information in the eBook but these are the main topics. Kelly: Is there a right way and a wrong way to detox? 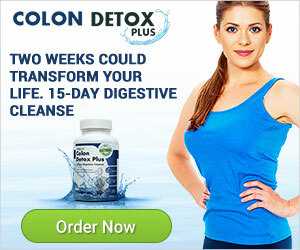 Sandy: Yes, I think that it is wrong to use a very restrictive, fad, weight loss diet and think that it will detox you. The only real way to detoxify your body is to take it slowly and concentrate on healthy foods that have been shown to support detox, and not the weight loss. But when you take on a proper detox diet you will lose weight. Kelly: Please give us just one piece of advice you want people to consider about their health. Sandy: We should eat to live not live to eat. Healthy eating begins with learning how to eat smart. It means thinking about what you are putting into your mouth. The right food choices can reduce your risk of illnesses such as heart disease, cancer, and diabetes. Eating the right foods the right way can boost your energy, sharpen your memory and stabilize your mood. It really helps to plan ahead, to know what, when and where you are going to eat all your meals throughout the day. Kelly: I know you’re a very busy lady, and you’re always looking for the next best way to share and educate people about living healthy. What’s your next project or piece of information you’d like to share with us? Sandy: My project is ongoing. 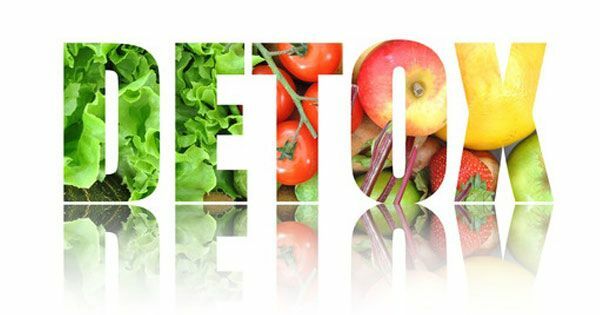 It’s my mission to bring the latest information and research about detox, cleansing and health to my readers through my articles, blog posts, newsletters, Facebook fan page and Twitter. If you would like more information on doing your own natural detox diet, check out Sandy’s eBook, The Definitive Detox Diet.